As each year comes to a close, I like to look back at all the adventures I had in the previous 12 months. I love doing this for a couple reasons: to relive some of those memorable moments, to maybe have a laugh or two, and of course so I can write this post each year! In all seriousness, though, looking back at my travels like this also reminds me not to take any of these experiences for granted. I'm definitely privileged to travel as much as I do, and humbled that so many of you follow along. I never want to forget any of that! In April, Elliot and I went on a Danube river cruise with AmaWaterways. Our itinerary through Eastern Europe was different to your average river cruise, and yet fascinating. 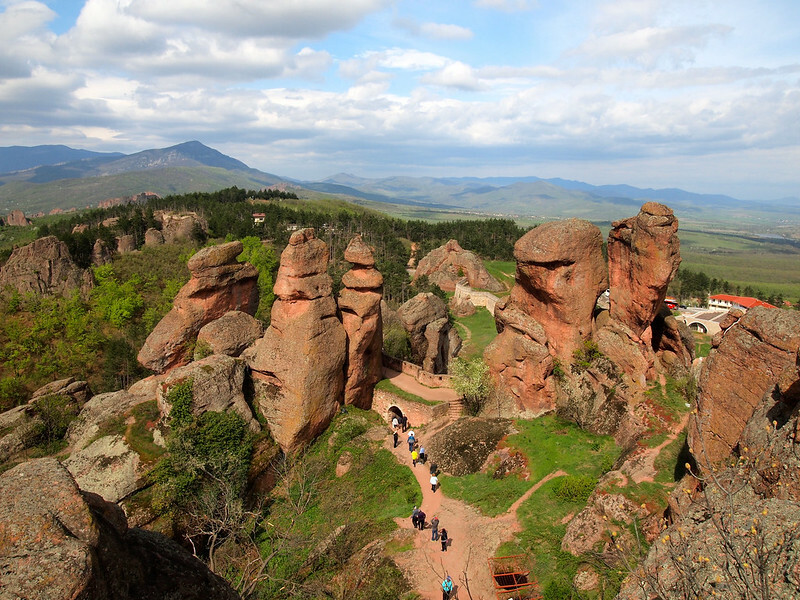 I visited Serbia for the first time, go to re-visit Budapest (one of my favorite cities in Europe), toured the Palace of Parliament in Romania, and visited a fortress built into a cool rock formation in Bulgaria. Not only were the destinations interesting, but Elliot and I both fell in love with river cruising. I now highly recommend this mode of travel for anyone looking for a stress-free way to see Europe. >> Read about it: River Cruising: What's It Really Like? I was already a huge fan of Florida's Gulf Coast before my first visit to Crystal River. But after experiencing the Nature Coast last winter, I now have a new favorite part of Florida. Not only is Crystal River itself insanely adorable and welcoming, but there's also a lot to do there – including swimming with manatees! Each winter, hundreds of manatees flock to the natural springs surrounding the mouth of the Crystal River at Kings Bay, and you can often get up close to them – sometimes in the water itself. Definitely a unique experience and one I hope to have again in the future. Along with being a huge history nerd, I'm also a bit of an architecture fanatic. 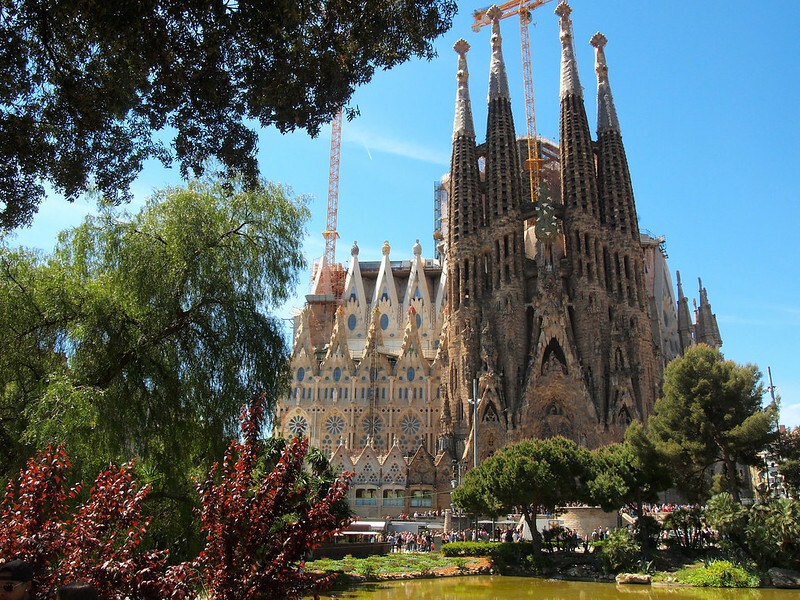 And in fact it was an architect – one Antoni Gaudi – that drew me to Barcelona, Spain, to begin with. I was considering skipping Barcelona altogether, but the desire to see some of Gaudi's works like the Sagrada Familia and Casa Batllo in person convinced me to go in the end. And damn am I glad that I did! I ended up not only falling in love with Gaudi, but also falling in love with Barcelona. I have a goal of trying to explore at least one new part of the Midwest each year. In 2013, it was Put-in-Bay in Ohio. In 2014, it was Traverse City, Michigan. And in 2015 it was the Hocking Hills. This large state park in southern Ohio is known for its large caves, rock formations, and great hiking trails. While I'm not much of a hiker, Elliot and I both enjoyed spending a weekend exploring the Hocking Hills (and coming back to a cute cabin in the woods complete with outdoor hot tub at night). Along with hiking, we also went zip-lining and took a Segway tour through the forest! As far as modes of transport go, I think train travel is probably my favorite. There's something equal parts relaxing and romantic about rolling along the rails, watching scenery slip by outside the window. And when the train you're on has a glass-domed ceiling and the scenery outside is the Canadian Rockies… well, just WOW. I got to experience the luxurious Rocky Mountaineer train through British Columbia and Alberta this fall. And with gorgeous weather, impeccable service, and pops of fall color, it's definitely one of the best train rides I've ever been on. Swimming with manatees was pretty darn cool. 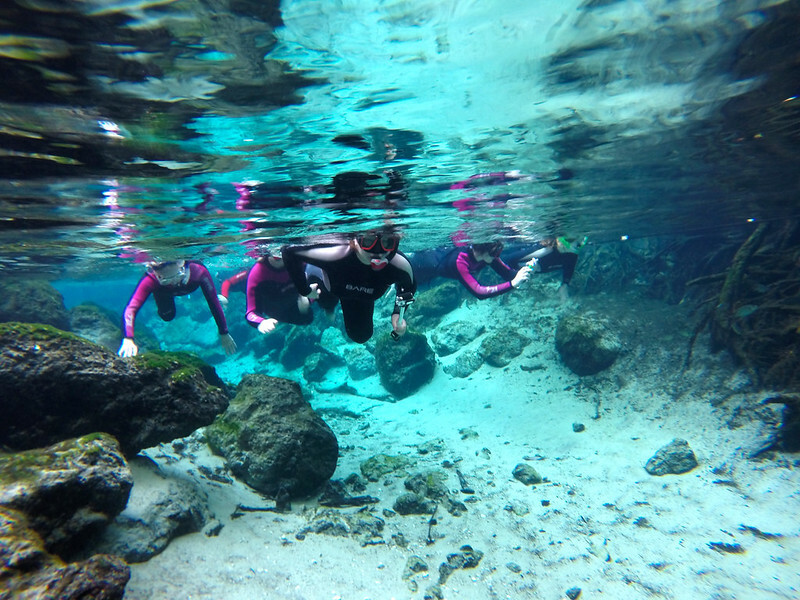 But an adventure in Iceland slightly tops it when it comes to aquatic activities in 2015 – snorkeling in between two tectonic plates! In Iceland's only national park, two of Earth's tectonic plates are slowly drifting apart. 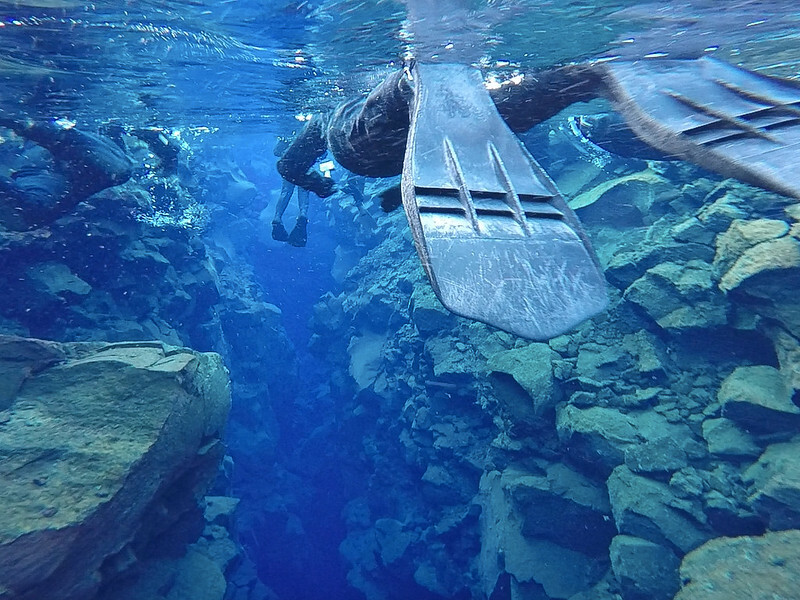 The rift caused by this separation is called Silfra and happens partially underwater – and you can snorkel or dive in that rift. The experience is cold (the water is near freezing year-round), but it's mind-blowingly clear and beautiful. Norway has been a dream destination of mine for years, and I was SO excited to finally visit this year for 10 days. 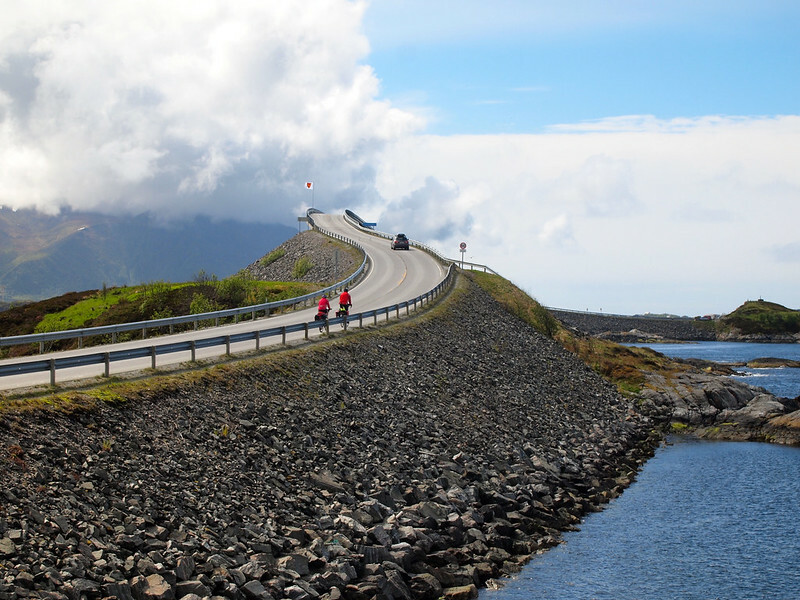 It was really really difficult to decide which was my favorite Norway experience, but I finally pinpointed it as driving the Atlantic Ocean Road. The “road” actually only lasts for about 8.3 kilometers, but it's a pretty amazing 8.3 kilometers, filled with arcing bridges and ocean views. I loved it so much that I actually drove it four times! When I first visited New Mexico a few years ago while on a road trip with my sister, I fell in love with the landscapes in the north. And since my best friend from college now lives in Santa Fe, going back for a visit was inevitably going to happen. 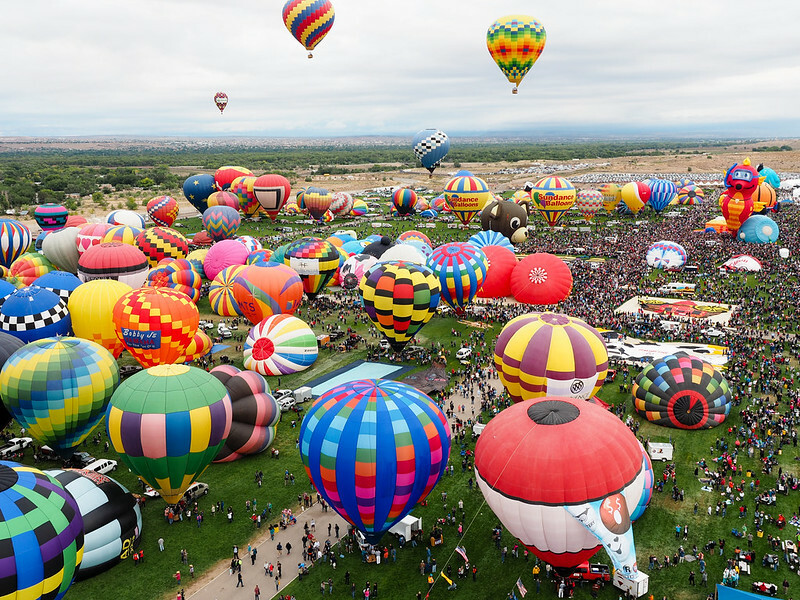 I decided to go for my birthday this fall, to coincide with the International Balloon Fiesta in Albuquerque. This annual festival draws hundreds of hot air balloons each year from dozens of countries around the world. Not only did I get to see those hundreds of balloons inflating in the early morning light, but I also got to go up in one during the Mass Ascension! Rising into the air with that many other balloons was magical. 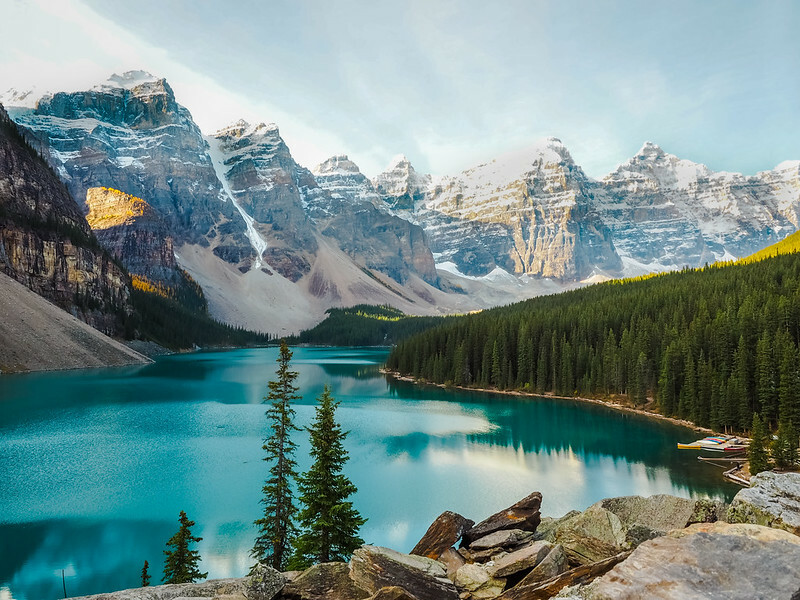 2015 was the year of for me, and it's impossible to browse around on Instagram without seeing gorgeous photos of lakes in Canada's Banff National Park. I went to Banff for the first time in 2014, but my trip then was very brief and was also in May, when most of the region's stunning lakes were still frozen. This time, though, I hit the lakes on a perfect fall day in late September. From Moraine Lake to Lake Louise to Bow Lake and Peyto Lake, I spent a whole day lake-hopping in Alberta It. Was. Incredible. 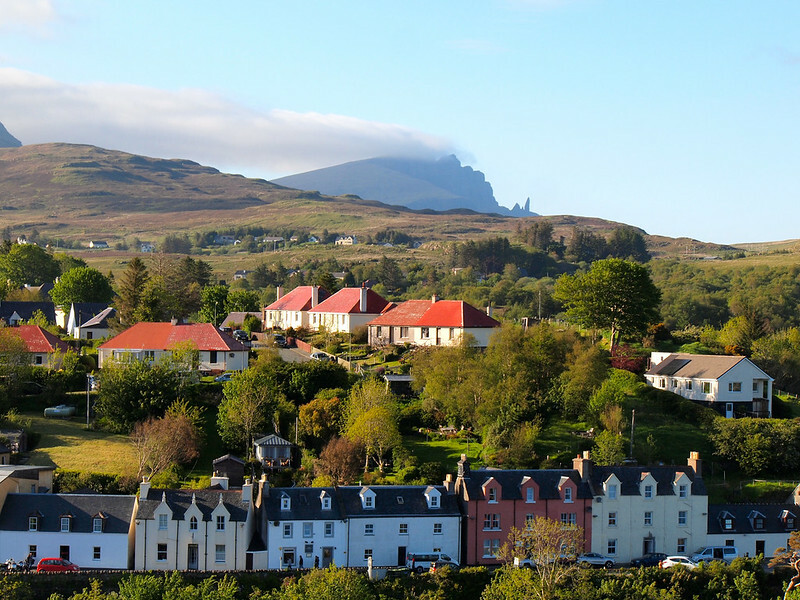 Solo travel is usually my travel modus operandi, but this year I actually did quite a bit of travel with other people – including a 2-week trip to the UK and Ireland with my mom. 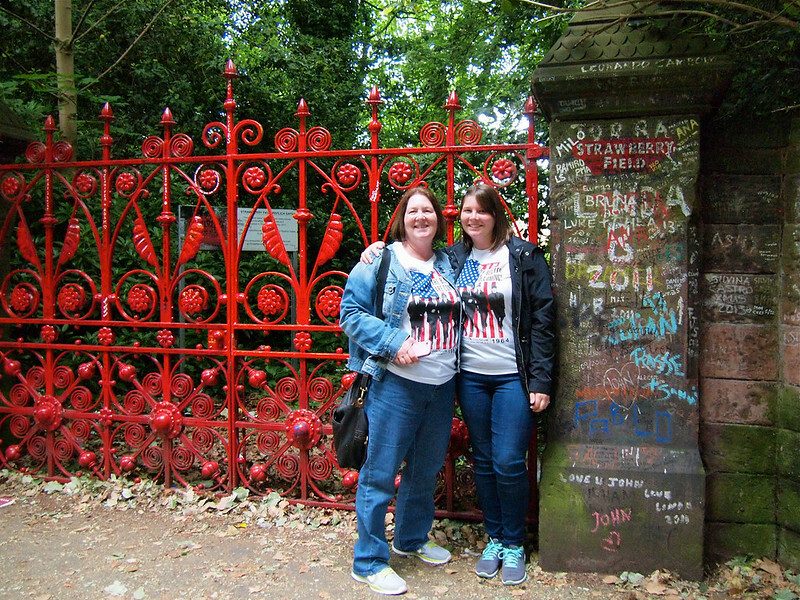 We dubbed this her “When I'm 64 Tour,” and the major highlight was definitely spending a couple days in Liverpool doing/seeing ALL the Beatles-related tours and attractions. It was a really fun trip, and it was great to help my mom make one of her own travel dreams come true. Along with getting to go up in a hot air balloon, my trip to New Mexico also included a day trip to White Sands National Monument, an expanse of gypsum sand dunes in the southern half of the state. I've been to quite a few national parks and landmarks in the US, but I think White Sands may be one of the most underrated. We did a free walk with a Ranger just before sunset, and then watched the sun slip down behind the dunes. This is something I had dreamed of seeing for years, and it definitely did not disappoint. 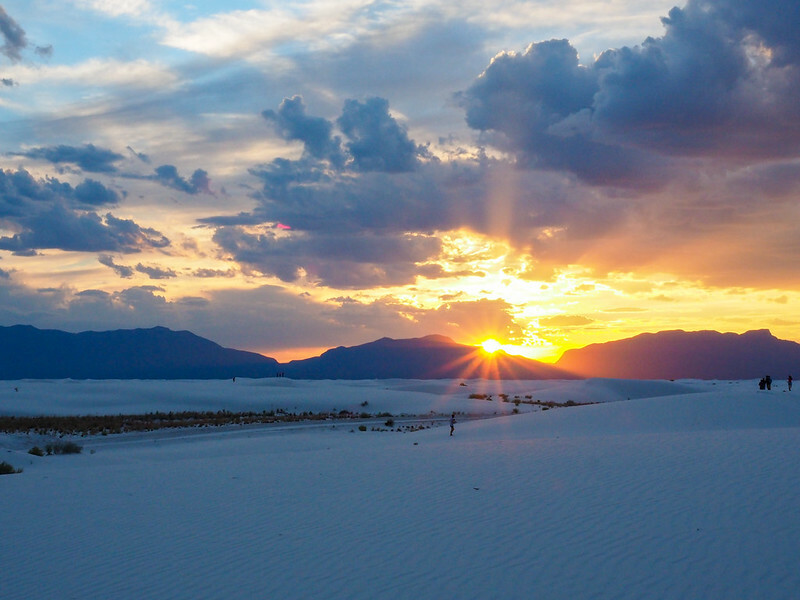 >> Read about it: White Sands: The Most Underrated National Monument? 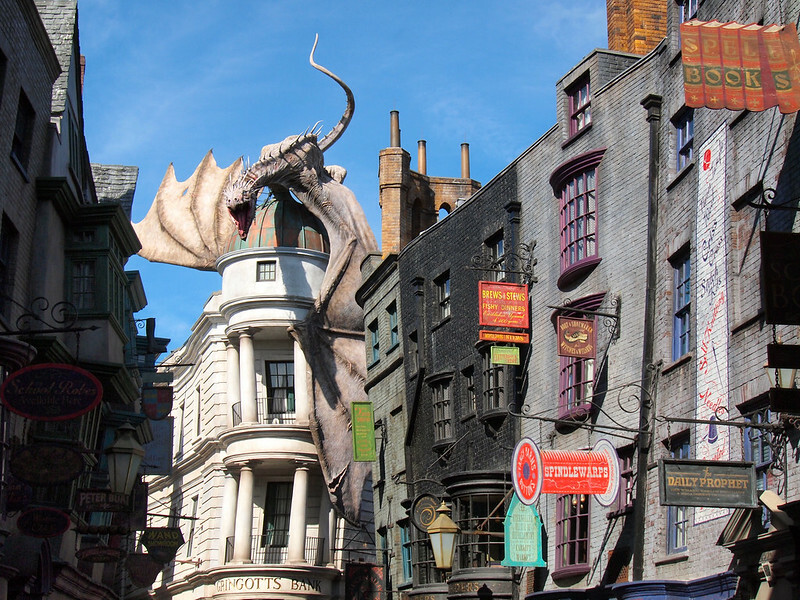 My first trip in 2015 saw me hopping down to Orlando for a few days with a friend to go to the Universal parks during the annual Celebration of Harry Potter event. We ended up spending almost the entire time hopping between Diagon Alley and Hogsmeade, totally geeking out and getting sugar highs off butterbeer. I'm a HUGE Harry Potter fan, and despite all the other amazing adventures I had this year, this one still made it into my top three! 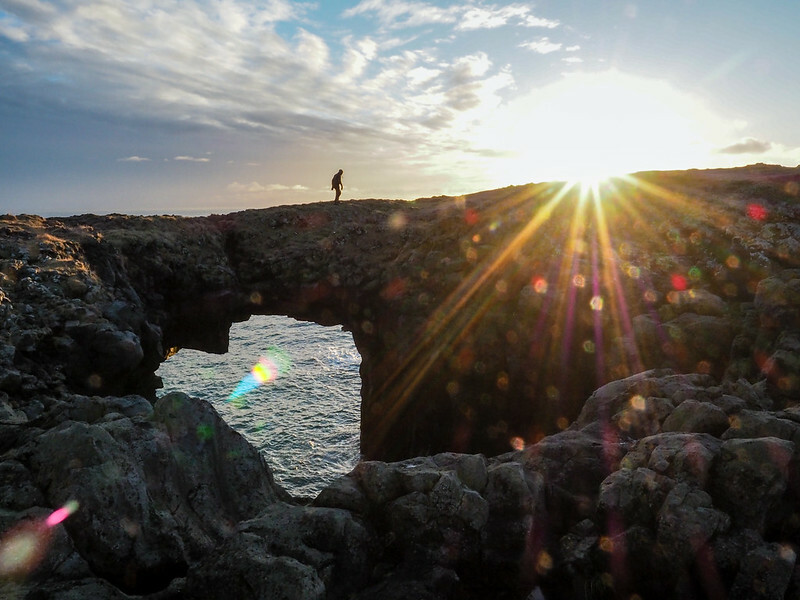 My second trip to Iceland also marked my first trip to the Snaefellsnes Peninsula, often referred to as “Iceland in Miniature.” Elliot and I booked an overnight trip to the peninsula, and enjoyed coastal hikes, glacier views, lava caves, black sand beaches, and more. The hike we did along the southern coast of the peninsula between two small fishing villages was perhaps my favorite part of the trip – the weather was perfect and the views were like something straight out of a nature documentary. I had a really difficult time deciding what my top experience of the year was. I had so many to choose from, and it was hard to pick just one to put in the top spot. 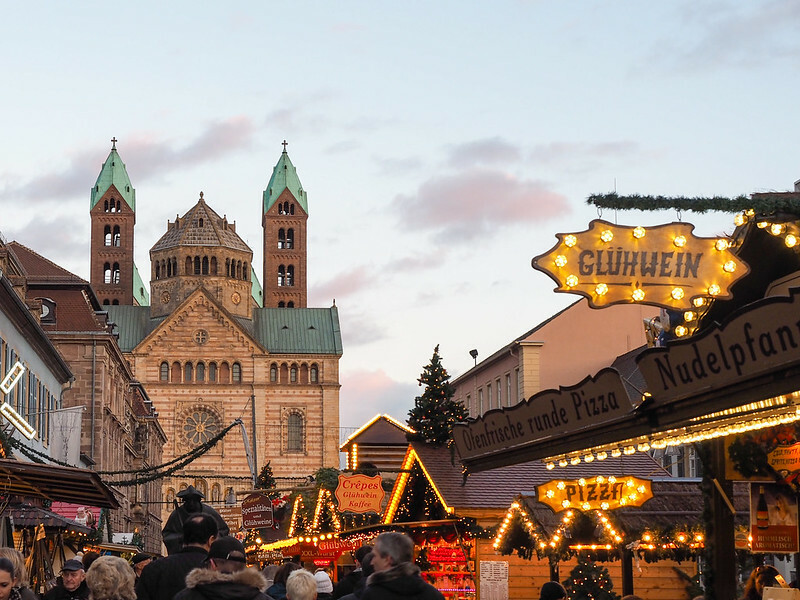 It could just be because this experience is the freshest in my mind, but I decided that my second river cruise with Viking River Cruises to see European Christmas markets won out. I don't think there's any better way to get into the holiday spirit. German Christmas markets are so special – so festive and so cheery – that this was a perfect way to end another great year of travel. One of my biggest accomplishments of 2015 wasn't actually directly travel-related, but I still wanted to mention it here. I spent months over the summer writing a new course in conjunction with about how travel bloggers can successfully work with travel brands and tourism boards. I'm really happy with how turned out, and even happier with how the launch went in November. If you're a blogger and want to learn how to pitch partnerships to companies and destinations you'd like to work with, this course is for you! Curious to read past year-end round-ups like this? Check out 2011, 2012, 2013, and 2014! What was YOUR top travel memory from 2015? The pictures of the lakes of Alberta literally take my breath away! The lakes were definitely incredible! Damn, you sure have gotten around this year. Congrats! Haha, yes I sure did! Omg, all looks amazing! This is like my favorite travel recap EVER! You had a hard task, must have been tough to narrow them like this! Haha aww thanks Isabel! And yes, it was really tough to narrow them down! Wow! Love all of your pictures. Looks like 2015 was great for you! 2015 was indeed great for me. And I have a feeling 2016 will be great, too! Traveling with your mom sounds like so much fun! Even if it doesn’t end up being my fav destination, traveling with my family is always my favorite way to travel! I lived with my sister in New York City this past summer and we had the time of your lives together! I hope you get to travel with your mom again soon! It’s always fun to travel with my mom. Next year I’m taking my dad on a trip! Sounds like an incredible year of travel! I also love, love train travel and would like to add more of that in next year. And can’t get enough Christmas markets in my life ever. They are simply the best! Cheers to a fantastic new year! Thanks so much, Julie! And yes, I’m convinced that no amount of European Christmas markets could ever be too many! What a great year of travel! Love that Liverpool made the list! 🙂 Here’s to an awesome 2016!! Still bummed we didn’t get to meet up while I was in Liverpool – but I’ll definitely be back someday! Looks like a fantastic year. 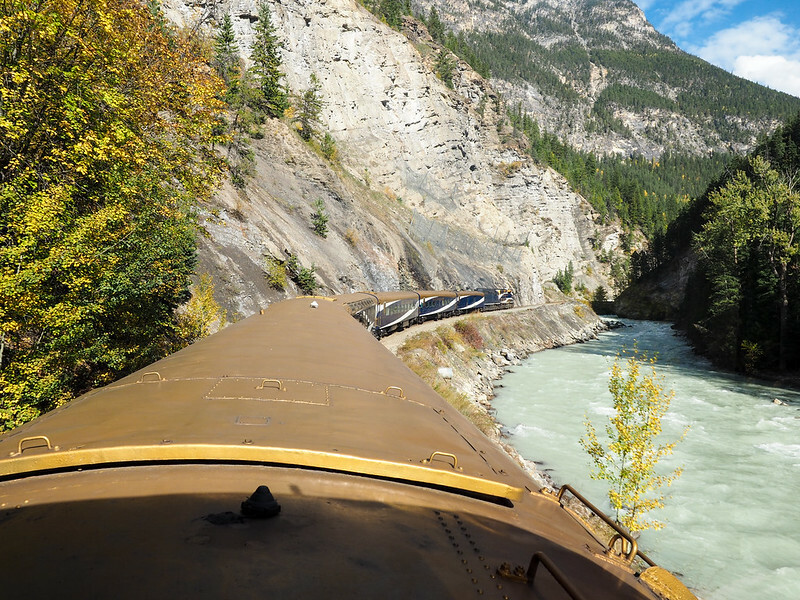 The Rocky Mountaineer and River Cruise are both high on my wish list – maybe next year! Here’s to a great travel-filled 2016. Thanks so much, Lucy – and same to you! Alberta and Iceland are two places that are climbing quickly on my list of places to go. My favorite travel memory this year was visiting Northern Arizona and seeing Horseshoe Bend and Antelope Canyon, both blew my mind! Alberta and Iceland are both pretty incredible! I was at Antelope Canyon a few years ago, and I agree that it’s mind-blowing! I haven’t made it to Horseshoe Bend, yet, but it’s on my list! That’s a great list of travel memories! Thanks, Dominique! I think so, too! What a fantastic year you had! I had no idea they did a Segway tour in Hocking Hills. That sounds like a fun gift to give someone. And I loved following your Norway trip- I’ve had Norway fever ever since my kids got “Frozen” fever last year. Haha! I saw Emerald Lake and Lake Louise frozen in 2014 (you can’t usually get to Moraine Lake in the winter because they close the road). They’re definitely pretty when frozen, but I enjoyed seeing the full colors in fall much better! I wasn’t able to travel this year since I bought a brand new car. So, a trip is in order for 2016! I’m deciding whether to do a group tour of Britain and Ireland (never been) or revisit eastern Europe. Both good choices! I personally would probably go where I’d never been – but of course it’s up to you! My top travel memory from this year was rafting the Grand Canyon for 2 weeks – that much time off the grid was so good for my soul! Oh wow, rafting for a whole two weeks?? Sounds pretty epic!! 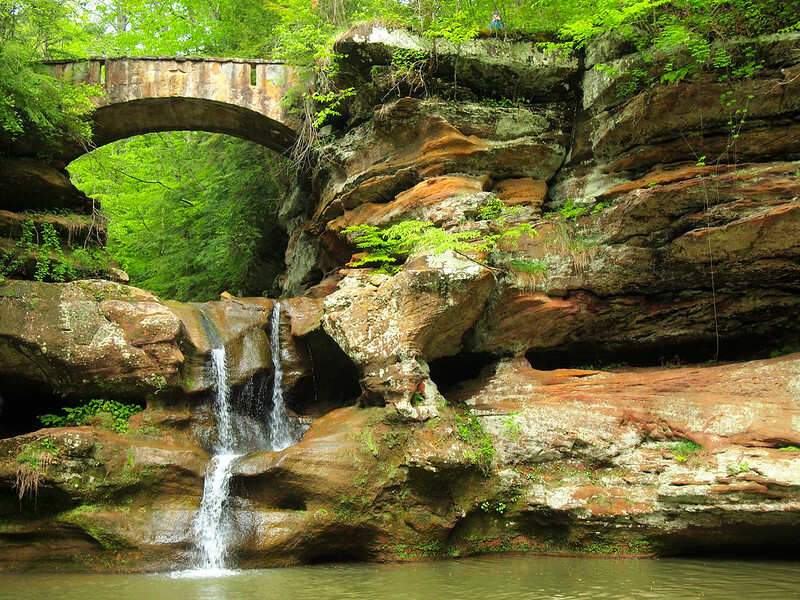 If you love nature, then the Hocking Hills should definitely be on your list. Yes, there’s always exploring to be done closer to home! I try to make sure to do at least one trip in the US or Canada every year for this very reason! Looks like 2015 was an amazing year of travel for you. I loved reading about your trip to the UK with your mom, and being from Alberta I loved seeing some love for my home province. Gotta get back out to the mountains sometime in 2016. Yes, the mountains are calling for 2016! Japan is definitely on my list, though I don’t think I’ll make it there in 2016. But I’m hoping to go back to Norway! That’s an incredible year full of travels and adventures! It’s been fabulous following you the year round, wish you many more in 2016! Thanks, Lotte! I have no doubt that there will be lots of adventures this year! Ah, seems like a stellar 2015 for sure! Love trains, so I definitely need to take the Mountaineer at some point. And Iceland…I need to go to Iceland! You SO need to go to Iceland, Ryan! I hope to one day have as good of a travel trip as you have! Stunning pictures! I am in absolute awe of how beautiful it all looks and it seems like you had the time of your life this past year! Thanks so much for sharing your awesome adventures with us!